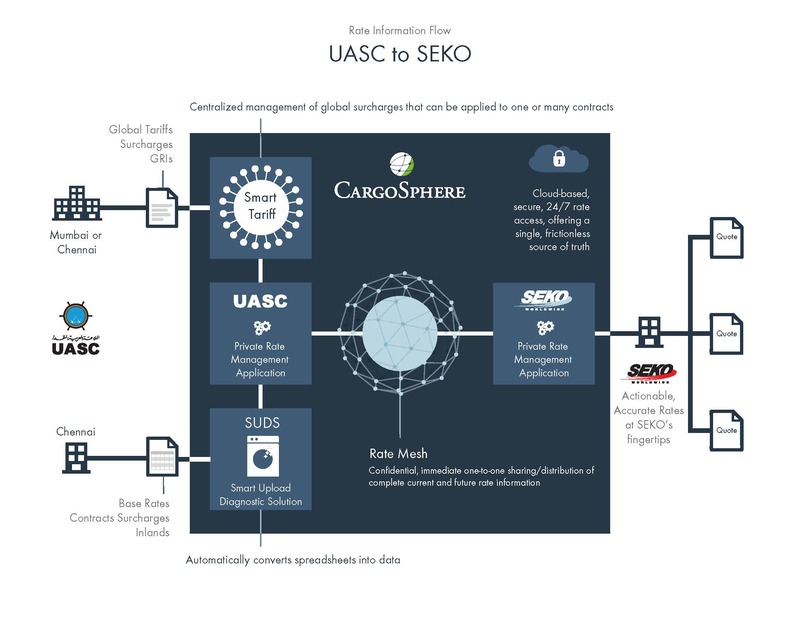 Chapel Hill, North Carolina, April 28, 2016 – CargoSphere, the leading provider of frictionless rate networking and cloud-based global freight rate management, today announces that UASC, a leading global ocean carrier, along with its customer SEKO Logistics, a global supply chain and logistics management company, have implemented a direct CargoSphere rate technology connection to significantly accelerate the distribution of current, frequently changing, Asia-Europe freight rates. Ongoing and increasing rate volatility is weighing the global, ocean shipping industry down. Carriers can’t distribute bottom-line rates comprised of numerous surcharges fast enough and logistics service providers (LSPs) are challenged with effectively managing rate updates. In this environment, everyone loses out. Carriers lose business due to pricing distribution delays and LSPs are forced to manage non-stop freight rate updates which is time consuming and costly. UASC’s vision is to increase the value it offers customers by electronically distributing rate pricing to customers in real-time, directly into their rate database, so rates are ready to use immediately. CargoSphere is delivering this capability with a suite of solutions. UASC uploads global tariffs and surcharges with CargoSphere’s Smart Tariff, and their base rates and contract specific surcharges with CargoSphere’s SUDS (Smart Upload and Diagnostic Solution) into their private, neutral CargoSphere application. Accurate, current UASC pricing data from their CargoSphere application is shared confidentially via CargoSphere’s Rate Mesh, a connected, online one-to-one sharing network. SEKO Logistics, an established CargoSphere Rate Mesh customer, easily accesses UASC’s pricing in their rate database for timely quoting to customers. Implementation of this solution was 2 weeks from contract signing to ‘go live’. “UASC is in the forefront of carrier technology with their use of CargoSphere’s frictionless rate distribution and management. Receiving accurate, current ocean rates in our database allows us to act on them faster and with more confidence. 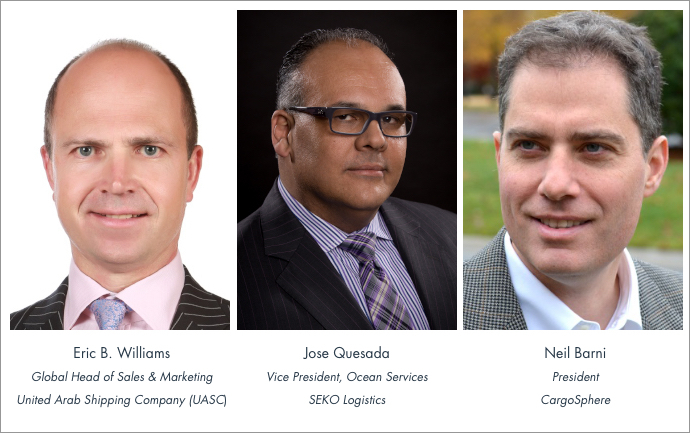 This is what results in greater customer satisfaction and increases our competitive position in the marketplace at a lower cost,” said Jose Quesada, Vice President, Ocean Services, SEKO Logistics. “UASC is the first vessel-owning ocean carrier to add the power of CargoSphere’s real-time connectivity to their business. This is the most accurate, efficient way for the industry to distribute frequent pricing updates to customers and it saves time and effort! It is truly a game changer for UASC. With CargoSphere, UASC is eradicating static file contracts, rate sheets and cumbersome management of amendments forever,” said Neil Barni, President of CargoSphere. United Arab Shipping Company (UASC) is a global shipping company based in the Middle East. Founded in 1976, UASC has more than 185 offices around the world. The company is the largest container shipping line in the Middle East region and adjacent markets, covering over 240 ports and destinations worldwide. UASC offers containerized cargo transportation, temperature controlled (reefer) and out of gauge cargo amongst other value added services to a diversified global client-base. UASC is currently implementing one of the industry’s largest and most technologically advanced new building programs, consisting of seventeen new vessels; six 18,800 TEU and eleven 15,000 TEU containerships. UASC’s cutting-edge vessel designs have been developed with a focus on cost efficiency and enhanced environmental friendliness. These vessels are the first ultra large containerships in the industry to be delivered ‘LNG ready’, to enable dual fuel (the use of both traditional heavy fuel oil as well as liquefied natural gas or LNG fuel), which is expected to significantly reduce environmental impact and reduce fuel costs. SEKO provides complete supply chain solutions including: transportation, logistics, forwarding and warehousing, as well as innovative and customizable IT solutions. These technology tools provide a seamless flow of information and give customers true supply chain visibility.